Armchair Generalist notes the latest "Everyone panic!" notification from the Department of Homeland Security. This time, a DHS official murmurs ominously about a possible alliance between Latin American drug traffickers and Al Qaeda. The modern-day Escobars have the infiltration routes; Al Qaeda might someday have nuclear, biological, or chemical weapons. This dark alliance of swarthy people might happen someday. Maybe. Sure, there might be a "potpurri of scum" who do business with each other. After all, Al Qaeda members might need the occasional source for weapons and fake passports from somewhere. Opium from Afghanistan has to get into the US through some route. But does that mean that Latin American drug smugglers have any interest in helping Al Qaeda infiltrate unconventional weapons into the United States? Um, assuming that Al Qaeda even had them, probably not. Look at how the Uribe government escalated its counterinsurgency campaign, once it found out the Venezuelan government was providing money and technical assistance to the FARC. Now imagine what might happen if either a local government or the US government discovered any collusion between drug traffickers and foreign terrorists. Smugglers are businesspeople that exercise extreme caution, given the number of law enforcement agencies are constantly trying to monitor or infiltrate their organizations. Even if Al Qaeda agents did not have NUKE AMERICA tattooed on their foreheads, the smugglers would have reasons to turn down anyone they don't completely trust. Smugglers sneak drugs into the United States, not people, and certainly not people from the Middle East. Just because something is imaginable doesn't mean it's a real concern--particularly when the US government is already spending billions of dollars to track suspected drug smugglers. The DHS should not be getting ideas for "public service announcements" from the technothrillers sold in the supermarket check-out line. UPDATE: Maybe this is all a prank designed to publicize the planned remake of Red Dawn. We can only hope so. Now that the governments of Colombia, Ecuador and Venezuela have agreed to stand down from their recent confrontation, why did Colombia ignite this crisis in the first place? And who, if anyone, won? Colombian president Álvaro Uribe certainly knew that a cross-border raid against FARC camps in Ecuador wasn't going to destroy the FARC, even if a high-ranking FARC leader died in the process. Uribe could easily calculate Ecuador's response to the raid (indignation, chest-thumping about sovereignty), and Venezuela's reaction to charges that Hugo Chávez was sending money to the FARC (outrage, some sort of retaliatory threat or action). Therefore, the events of the last several days may have been Uribe's version of what Egyptian president Anwar Sadat did in 1973: using a short conflict to attract international attention to a neglected problem, and international pressure on some of the sources of that problem. Sadat calculated that, even if the Israeli Defense Forces won a military victory, the US and USSR would rush to end the conflict before it got too far out of control. Having been forced to put out another Middle Eastern fire, the two superpowers then engaged in some fire prevention. The United States, for example, helped convince the Israelis to return control of the Sinai Peninsula, seized during the 1967 Arab-Israeli War, to Egypt. 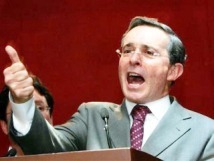 Uribe also knew that any military action would remain within strict limits. Although Colombia is receiving billions of dollars in US military aid, the FARC endures. Despite occasional bluster from Washington about Chávez, the US government is actually putting very little effort into containing him. Americans feel almost no sense of immediacy about Colombia's problems, and in several months, the Democrats may control both the White House and Congress. Therefore, a limited military operation would, at worst, force the Americans and other outside parties to focus their attention on Colombia and Venezuela. Uribe now can play a more convincing game of brinksmanship, since he's clearly willing to reject diplomatic niceties if they get in the way of dealing with Colombia's security problems. The inevitable "Sorry, I don't know what I was thinking" press conference would occur, in which the leaders of the three countries would shake hands. Everything beyond these results were just a bonus. The Colombian military killed FARC leader Raúl Reyes, seized valuable intelligence from the FARC compound they raided, and even got a J'accuse! opportunity with Chávez. The raid may have inflamed divisions within the FARC: FARC guerrillas may have assassinated Iván Ríos, another FARC commander. Not bad, for the low cost of an apology. The death of Raul Reyes, one of the top leaders of the FARC, has inspired the predictable, reflexive, pointless discussion about command hierarchies in a revolutionary organization: Who will be the new #2? Of course, that question presupposes that Reyes was the #2 leader in the FARC. He was certainly close to Tirofijo, the top man in the FARC. Reyes was the "public face" of the FARC, a member of the governing directorate, and Tirofijo's confidant. But in what sense was he #2? In most revolutionary organizations, there is no #2. Instead, there are leaders with different roles. In Al Qaeda, Ayman al-Zawahiri is the top "operational" person. He is not, however, the "public face" of Al Qaeda in the same fashion as Suleiman Abu Gaith. Abu Mohammed al-Masri often has a more direct role in Al Qaeda operations, even though he's nominally not as high-ranking as Zawahiri. Meanwhile, with Osama bin Laden in hiding, with less freedom of action than he had before the 2001 invasion of Afghanistan, it's hard to see what being the #1 guy in Al Qaeda really means. Organizations with parallel military and political arms only confuse matters. How would you rank Gerry Adams' role as the head of Sinn Fein, when the IRA was still pursuing the "armed struggle"? Was he #2 by virtue of being the head of the political wing, or did he have less influence within the overall IRA/Sinn Fein organization than other military leaders? Other terrorist and guerrilla groups have different roles, with more or less power in the hands of the top leader, and different responsibilities (fund-raising, operations, policy, propaganda, etc.) distributed across the top leaders. It's hard, therefore, to find any organization like the FARC or Al Qaeda in which #2 is a meaningful designation. I don't know the origins of the "Who will be #2?" question. 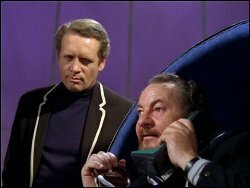 Maybe the people asking it assume that terrorist or guerrilla groups operate in the same fashion as SPECTRE, with a clear top Bond villain and an equally clear trusted lieutenant. (Which means that US agents will have to kill the lieutenant before they can duke it out with the top leader. And they have to be ready for the top leader to appear dead, only to suddenly make a last, desperate lunge for his gun, laser cannon, or earth-penetrating drill.) Or maybe it's from watching the old BBC series, The Prisoner, in which the question, "Who is #2?" had special meaning. In any case, it's a pretty stupid question. Reyes had a particular role in the FARC. Judge the effects of his death based on that reality, instead of some goofy shorthand for people who can't bother to research the news stories they're covering. Exhibit A: He urges the President Uribe of Colombia to recognize the corrupt, cynical, and vicious FARC and ELN guerrillas. Since I'm usually in a hurry to put away the Christmas decorations, I rarely do a good job of storing the lights. When I pull on the end of a cord, I'm usually dismayed to be holding a huge, messy tangle of lights, far bigger and more complicated than I had expected. Of course, I only have myself to blame--the snarl is purely the result of my own neglect. While people in the US national security community have been spending all their time dealing with the Iraq problem, other issues keep getting haphazardly tossed into the closet. Eventually, when we start tugging on one of these problems, a lot of others emerge. Case in point: Chiquita's admission that it was paying right-wing paramilitary groups to continue operations in Colombia. The story, as we learned today, won't stop there. A Colombian prosecutor is investigating other multinational corporations that may have made similar arrangements with irregular forces. It would be amazing if Chiquita were the only company who paid protection money, and it would be equally amazing if the United Self-Defense Forces of Colombia were the only recipients. The FARC, certainly, have been in the extortion business for a long time. Keep pulling, and out pops another unwelcome detail: who is protecting these corporations? If you're going to mine diamonds in Western Africa, you won't count on the rebels or governments to stay bribed--particularly if the leaders of these factions have an uncertain grip on their own forces. The same "security firms" that are doing a brisk business with the US government today are making even more money from private corporations. Therefore, the lines between the public and private part of US national security is even more blurred, both in the means (these mercenary companies) and the ends (the employers demanding their services). Yank harder, and out pop other questions. How does the revolving door between national militaries and the security companies work? Who is receiving campaign contributions from Blackwater, Dyncorp, and similar companies? How much does the United States have invested in Plan Colombia, and how well is it paying off? In other countries riven by inernal war, such as Colombia, are we investing too much, too little, or the wrong resources to handle the threat at hand? These are all important issues. They're also the issues that Americans are largely ignoring, while Iraq consumes all available time, resources, and attention. Worst of all, we haven't even mentioned international terrorism yet. The FARC may be the bigger and more dangerous guerrilla faction in Colombia, but the ELN is no small potatoes, either. If the Uribe government moves from negotiating a ceasefire to getting the ELN to de-mobilize, that would be a major step forward in the decades-long Colombian counterinsurgency war. Venezuelan President Hugo Chavez's announcement of a land redistribution program is a blast from the past, from a time when you couldn't say "Latin American politics" without adding "land reform" somewhere in the sentence. I wonder what took Chavez this long to get around to land reform. (Actually, he has been threatening it for a couple of years.) Not only does it play well with his core constituents among the lower classes, but it also gives him another negotiating point with the wealthy elite. Certainly, foreign investors have worried about Chavez making this move. However, Chavez leaves a fair amount of wiggle room in the program. While large landholdings might make multinationals uncomfortable, unused land is less threatening. However, fear of confiscations have already done serious damage to foreign investment. Actual confiscations may not do much more. Whatever you think of Chavez and his policies, one point is certainly not worth debating: he's the happy recipient of high oil prices, which gives him a big political cushion. Oil money can help buy off domestic and foreign opposition to his land reform program. If US officials are worried about Chavez, they should be looking harder at what could be done to lower oil prices. Otherwise, the US government has very little leverage over Chavez. President Bush's trip through Latin American brought a spotlight to the region that hasn't been there for quite a while. Unfortunately, it's not clear what the result will be, other than to illuminate some long-standing problems that the US has no time to address. For example, around the same time that the President made his six-hour appearance in Colombia, Chiquita Brands International confessed that it had been paying a right-wing paramilitary group protection money to continue doing business there. Chiquita will pay $25 million in fines for giving money to the United Army of Colombia (AUC), which is one of many factions in Colombia--including its chief enemy, the Marxist FARC--that's in the narcotics business. Also at the same time as Bush's visit, US and Colombian troops attempted a rescue of three US contractors held by the FARC. Not only has the US military mission in Colombia been trying to keep its profile low, but it also has tried to keep operational details quiet. Especially in a rescue operation, US military personnel tread a fine line between maintaining an advisory role and engaging in combat. I can't imagine that the members of the 3rd Battalion, US Army Special Forces, deployed in Colombia were thrilled to see the President answering questions about the rescue operation. Although the headlines read something like, "Bush Backs Colombian Ally," the trip did not substantially helped Colombian President Alvaro Uribe. Running on a tougher, smarter approach to defeating the FARC, Uribe won the presidency in 2002, and has remained in a fairly strong political position ever since. His strategy more closely resembles a classic counterinsurgency campaign than what the United States is doing in Iraq, so Uribe has little to learn from his American counterpart. He does need continued support, but not of the back-slapping variety. As is often the case when American presidents visit Latin America, the trip seems to have had more to do with US priorities than Latin American ones. Bush's visit was just more oddly-timed than most.